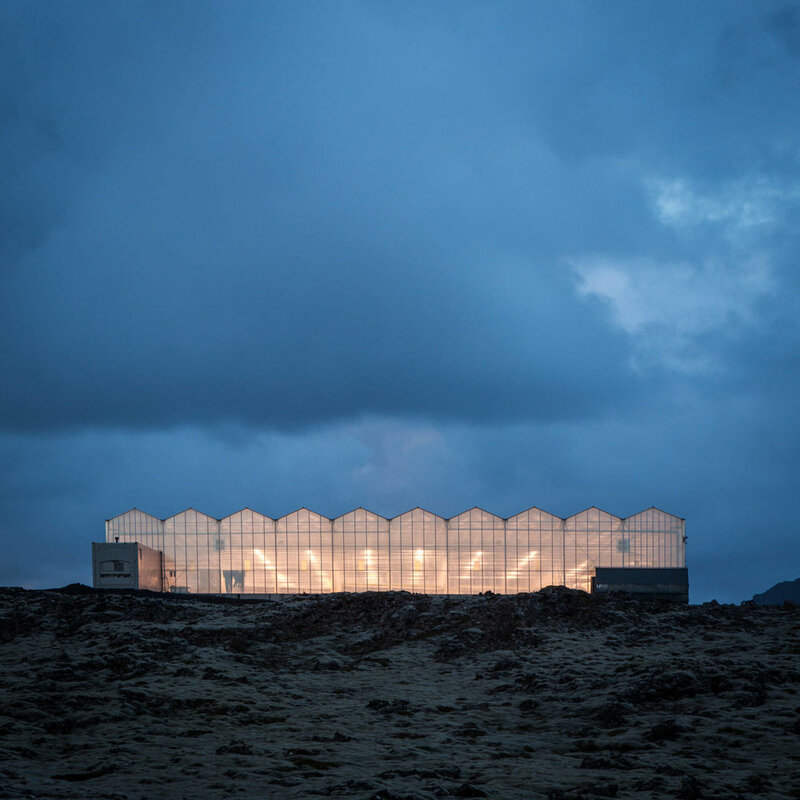 A palette of simple materials and playful shapes have made unlikely allies on a remote island in the North Atlantic. 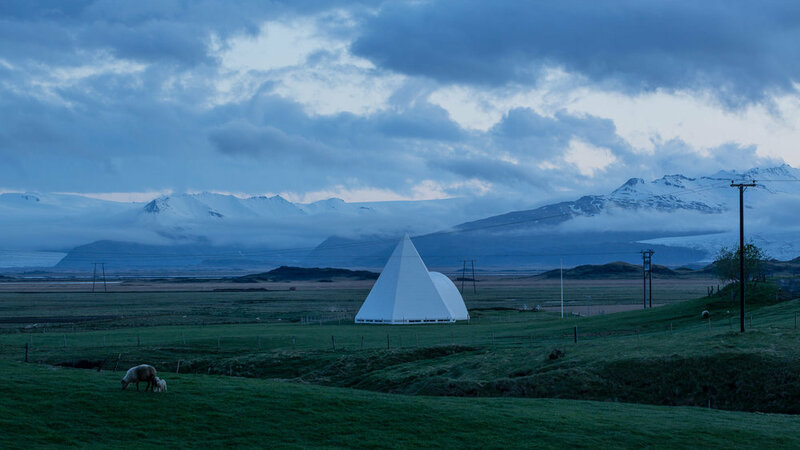 Pyramidal, cuboid, and spherical buildings dot the landscape of the inhabited lowlands and shoreline of Iceland, creating a fleeting series of colorful distractions for drivers who fly by on the famous Route One ring road in search of more traditional and popular tourist attractions. 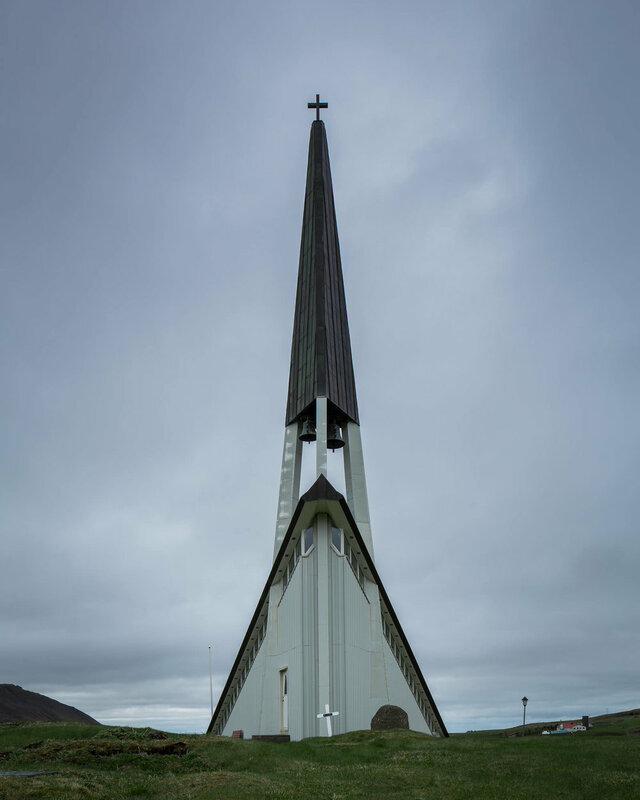 Upon closer inspection, many of these shapes reveal themselves to be one of two types of structures: the humble church, or an outpost of industry, usually geothermal plants or aluminum smelters. The churches, seeing less and less use over time, have begun to give way to their modern counterparts of new industry which rather than bringing their patrons closer to the heavens, they bore deep into the molten earth below to supply the country with energy and productivity. Starting with my first trip to Iceland in 2009, I've found myself more attracted to these simple structures and the parallels between them. 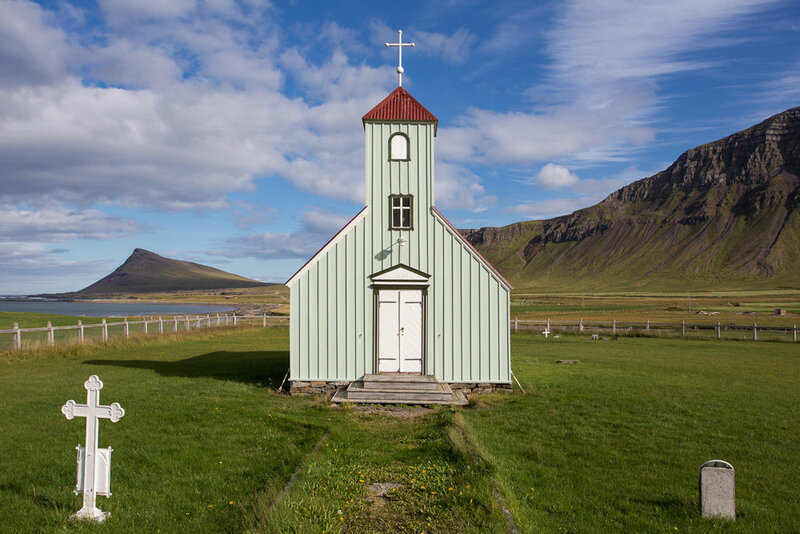 Whether intentional or not, the steeples of these simple churches or the towering steam vents of a geothermal plant signify a perfect time to pull over and explore. 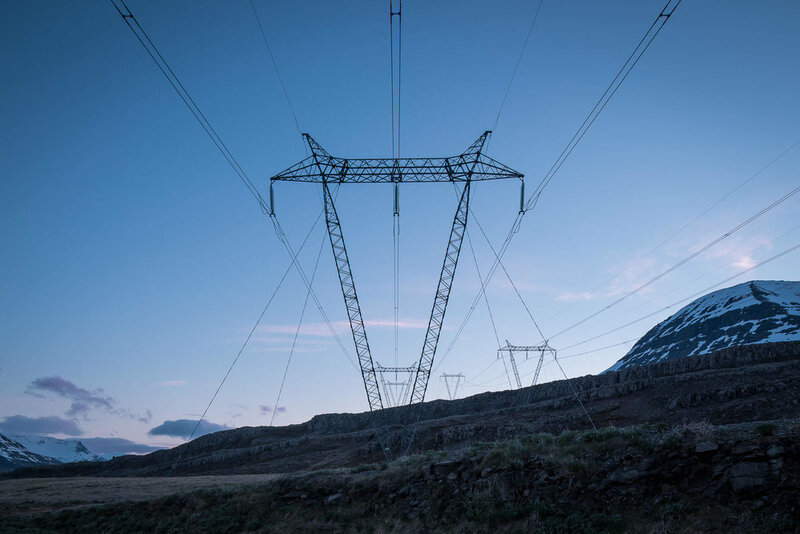 Symmetry, common materials, and bright colors further align these two subjects, and finding common ground between them has sort of become a thrill of the hunt when culling through photographs of the country.